Are you dying in the dark? Home Sun Exposure	Are you dying in the dark? 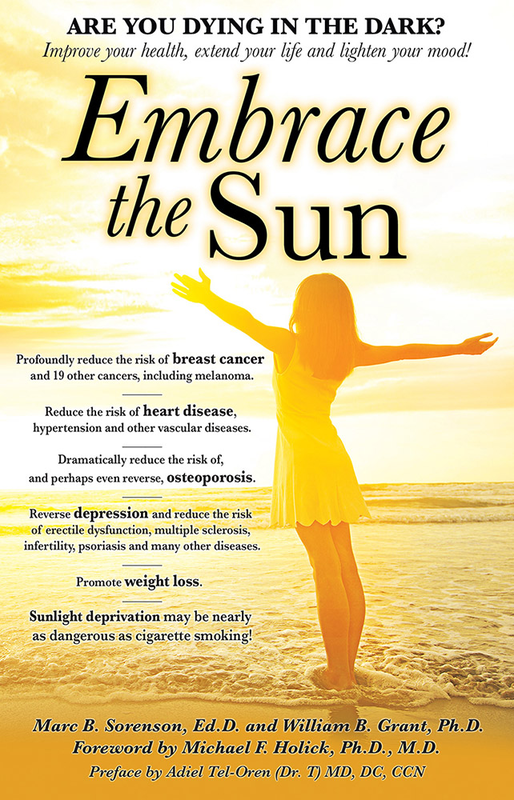 New book, Embrace the Sun, recommends non-burning sun exposure, citing research on sun exposure, vitamin D, and disease risk. Available on Amazon, Embrace the Sun, by authors Marc B. Sorenson, Ed.D. and William B. Grant, Ph.D., claim that sun avoidance may be nearly as hazardous to your health as cigarette smoking! Will there soon be a Surgeon General’s warning about staying indoors or putting on too much sunscreen? Is this book based on science or pure science fiction? The book is based on science and research. Together, Sorenson and Grant have worked 62 years studying and practicing health, nutrition, and the proper relationship with sunlight. A mountain of evidence exists showing that sunlight can promote weight loss, reduce depression, and profoundly decrease the risk of today’s common diseases including most cancers, heart disease, autism, diabetes, osteoporosis, multiple sclerosis, infertility, preterm birth and psoriasis. Do I have your attention? This book provides solid evidence towards a case for regular, sensible sun. According to the book, 75% of all melanomas occur on areas of the body that are seldom or never exposed to sunlight. Additionally, sun exposure has decreasedby about 90% in the U.S. population since 1935. 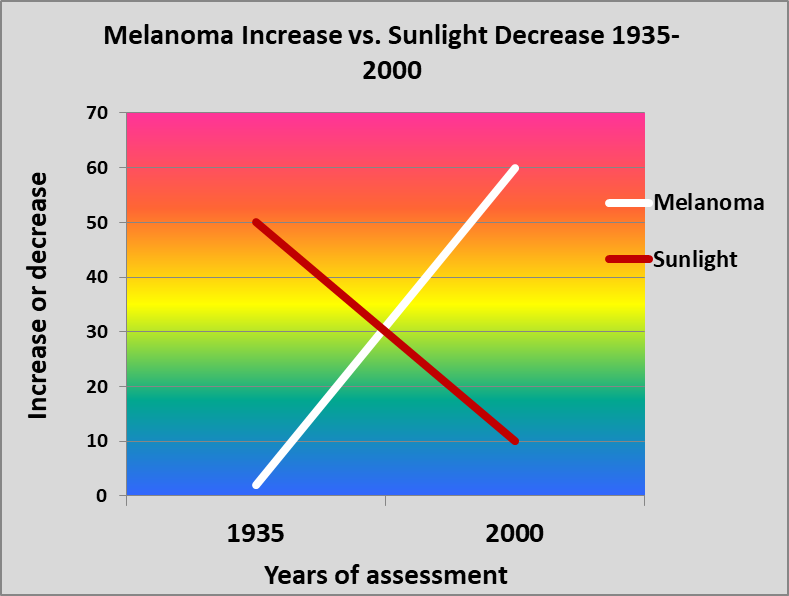 During that same period, melanoma incidence has increasedexponentially, by approximately 3,000%! 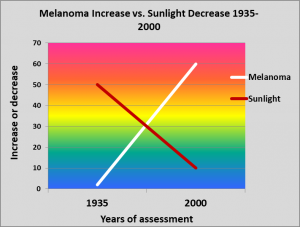 This evidence debunks the myth that melanoma is caused primarily by the sun, and instead suggests that the disease is at least partially caused by sun deprivation. Sorenson and Grant prepare the reader to make an informed choice. With summer coming, is it wise to get out regularly at midday, exercise, and soak up some rays? Or better to stay indoors, continuing the current regimen? Could it be that something so central to nature, the sun, which has been part of the human race for thousands of years is now bad for us? In this blip that is the late 20thand beginning 21stcentury has sun avoidance been helpful or hurtful? Read Embrace the Sun and find out! About Marc B. Sorenson, Ed. D.
Dr. Sorenson is a doctor of education (EdD) with a health background. He and his wife, Vicki, developed one of the world’s top resorts (National Institute of Fitness). During 20 years, their clients lost over 100 tons of fat; two thirds of diabetic guests were freed of medication in two weeks; and others recovered from cholesterol, arthritis, and myriad additional maladies. Sorenson has written ten books and hundreds of blogs for his site, Sunlight Institute. On the recommendation of Senator Orrin Hatch, a flag was flown over the U.S. Senate building to honor his contributions to world health. About William B. Grant, Ph.D.
Dr. William Grant is an epidemiologist and founder of the nonprofit organization Sunlight, Nutrition and Health Research Center. Grant holds a PhD in Physics from UC Berkeley and worked as a senior research scientist in the field of optical and atmospheric sciences at SRI International, JPL, and NASA Langley. He published the first paper linking dietary factors to risk of developing Alzheimer’s disease in 1997. Since 2000, he has focused on ultraviolet-B (UVB) radiation and vitamin D and their relation to cancer and other diseases. He has written over 256 peer-reviewed articles, editorials, and letters to the editor on vitamin D and health. Getting a Tan may be OK again, says new research! Sunshine research shows that sun exposure, not vitamin D, profoundly reduces Multiple Sclerosis (MS) risk.